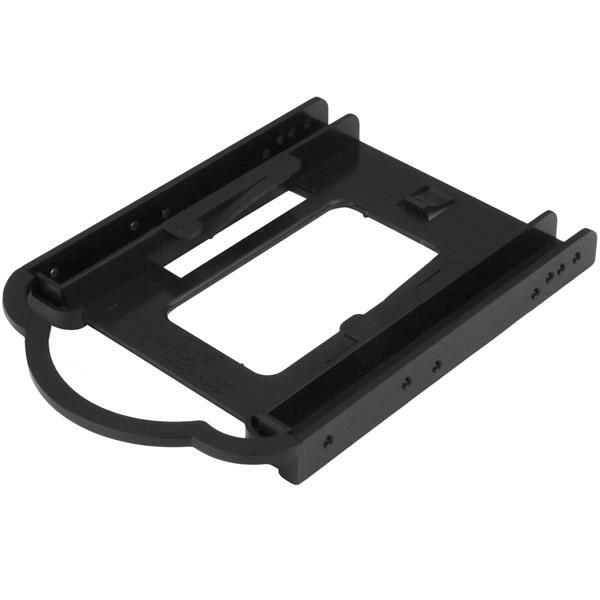 This mounting bracket lets you quickly install a 2.5" SSD or HDD into a single 3.5" bay in a desktop PC or server, with no tools required. The tool-less mounting bracket supports a 2.5" solid-state drive or hard drive from 7 mm to 9.5 mm in height. 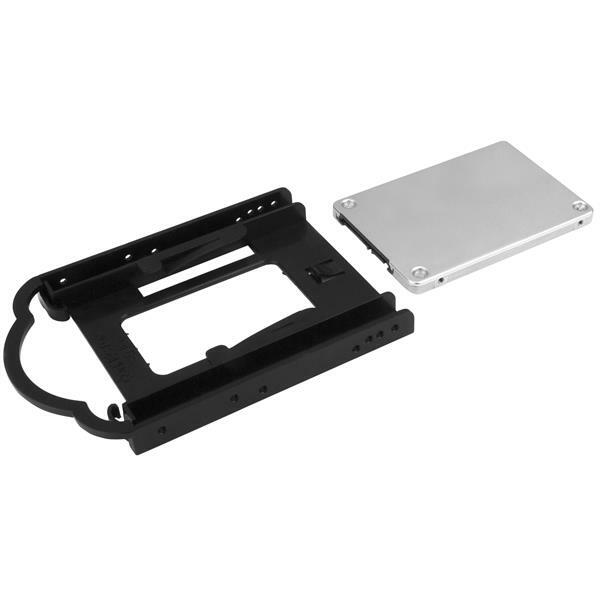 The mounting bracket’s tool-less design makes it fast and easy to install a 2.5" drive in a computer or server, without the need for additional hardware or tools. It’s ideal for system administrators and integrators who are building or upgrading a computing solution for a wide range of businesses and organizations, including schools and hospitals, saving valuable time and effort on installation projects. 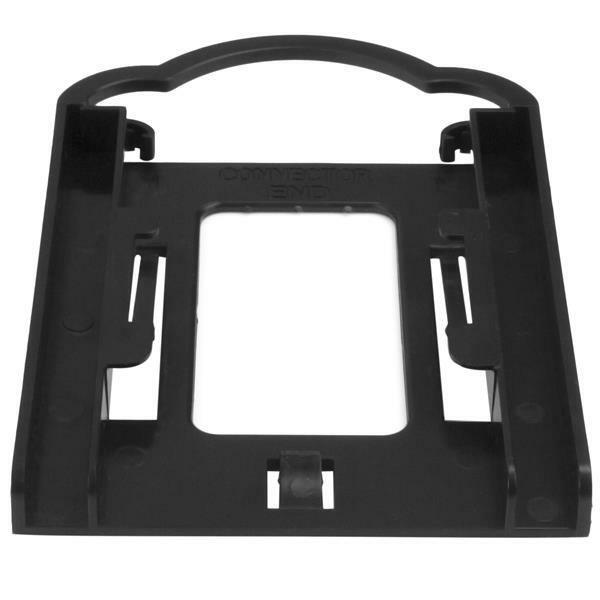 The lightweight mounting bracket is designed for trouble-free, reliable performance. 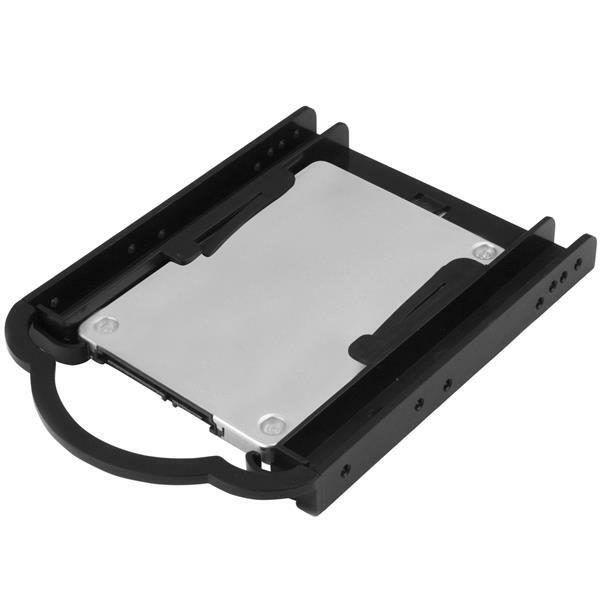 To install a drive, you simply secure it into the mounting bracket, without using tools. 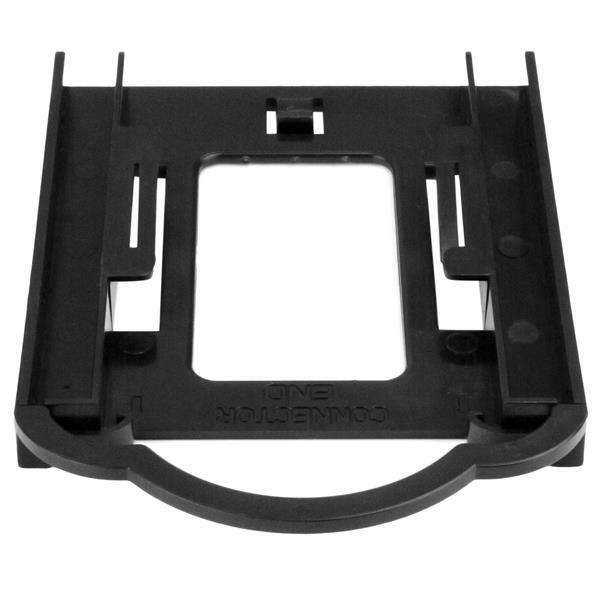 Then, you put the bracket into a 3.5" drive bay in your computer and the bracket holds the drive in place using the tool-less plastic pegs. 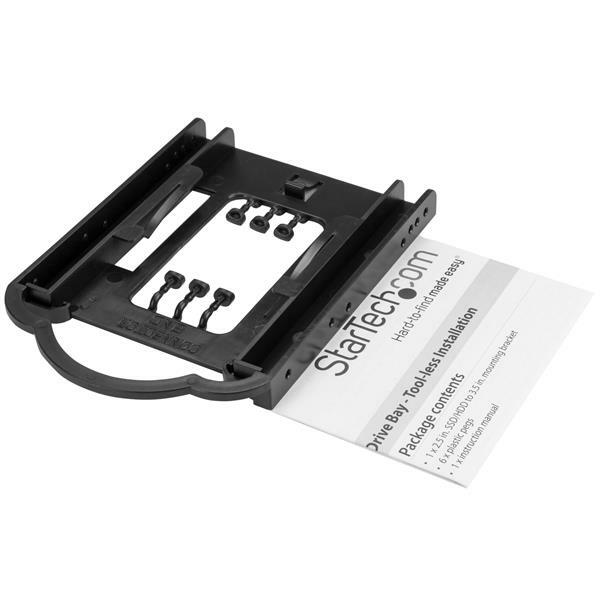 The BRACKET125PT is backed by a StarTech.com 2-year warranty and free lifetime technical support.